Vlogging on Youtube is one of the most profitable hobbies of 2016, and it is only getting bigger. Not only is it fun, you gain popularity, fame, status and Money, you can do it with a small budget having fun in your own home. The best vlogging camera in the world. Period. Well at least the opinions of some super famous vloggers like PewDiePie, Roman Atwood, SHAYTARDS and Lance Stewart. Who are we to argue, although they do change their opinions as their sponsors send them other amazing cameras to play with. 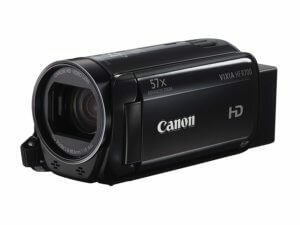 The perfect camcorder for all your funny game commentary videos, this one even has a touch flip screen, It is the best cheap camera on the list. It is easy to use, plenty of settings to choose from. One of zoom settings 1140 acts as a wide angle. It doesn’t have a mic mount but since this is a budget camera some double sided tape works fine. Arguably the best action vlogging camera, it can be attached virtually to any surface – FYI the Pros use duck tape. You can take it anywhere, The Hero 5 Black now doesn’t need the housing to go underwater, take it up a mountain, or in your home, garden skatepark, wherever! 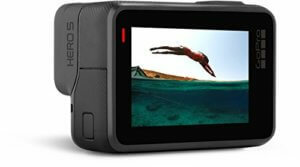 Go Pros are great cameras, good quality, very small, designed to be durable. 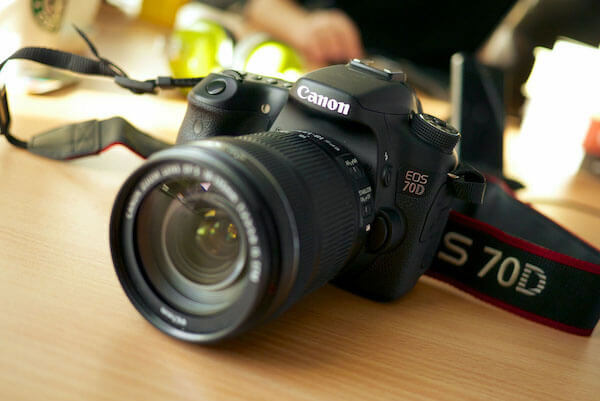 The Canon EOS 70 D is the best vlogging camera, hands down, it is incredible and for a great price, Canon released the 80D in response to how well received the 70D, however it really is difficult to improve on this camera. The 80D is about $1100, but you can buy a second-hand 70D quite easily for under 500 so you can buy a used 70D, be rough with it, if you break it then you can buy another. It is a high-end camera and super easy to use, the articulated screen flips out to the side then rotates 180 degrees allowing you to adjust your settings and your frame while the camera is pointing at you. 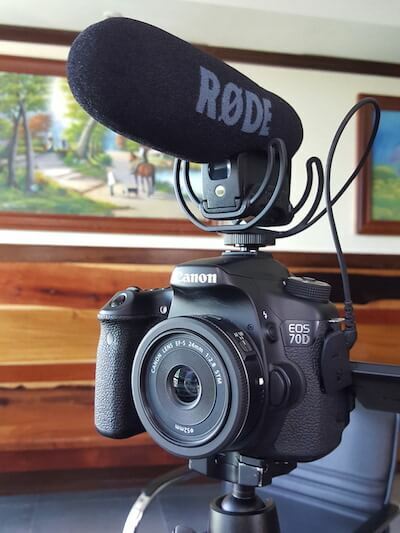 The built-in Mic on the Unit is standard, but you would definitely use an external mic with the 70D as you wouldn’t want to cut yourself short having such great video quality with standard sound. Most people I know uses the 70D with the Rode Shotgun, it mounts perfectly on top. Whatever Canon Lens you choose it will be good, but if you want specifics then try the 24mm STM lens, it is small compact, thin and gives you incredible image quality if you are interviewing or filming yourself. The best part about it, it’s cheap! To indoor vloggers this is the single most important feature to look for in a vlog camera. Having a good camera that performs well in low light (both indoors and outdoors) will give your videos the extra edge and appeal when you upload them. No noise and dark areas in your videos. Therefore, no reason for those trolls to make negative comments. Lens aperture – Fancy word for ‘hole’. Generally referred to as F-Stop, larger F stop number = more light. It also helps in getting the blurred background effect that is absolutely necessary if you are into action vlogging and self-recording. The lens aperture is the size of the hole that allows light to touch the sensor, the size of this hole is called the F stop. See Pixelarge site for a detail explanation. 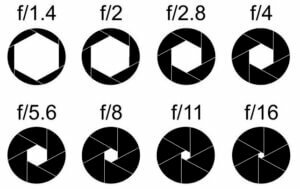 Note: the F-Stop values are fractions, so that the large the number after the forward slash, the smaller the aperture. Sensor size – Similar to the aperture size, the bigger the sensor the better it is in low light. Full-frame cameras have the biggest sensors, Canon’s APS-H and Nikon’s APS-C CMOS sensors are best for vlogging purpose. It is that feature which saves you from embarrassing yourself – shaky videos. Have you ever seen a vlog from your favorite vlogger and shrugged at their shakiness? No, right? That’s because they use cameras or lenses that have optical image stabilization (or 5 axis image stabilization). It simply means that the camera has a fast capturing mechanism which doesn’t allow for the moving image to drag. An easy way to check this is to shoot a five-second video and then watch it frame-by-frame on a media player. If you observe any blurs or stretches, then the camera model does not have OIS. There are many types for flip screens; some flip up only, some flip to the side, some can ever rotate to the side and then flip around like the Canon 70D which is an outstanding vlogging camera and talked about by Casey Neistat on a youtube video entitled best camera money can buy, If you don’t know who he is then you should because he started not for the love but for business reasons – to promote a product and now he does it for the love, he certainly doesn’t need the money anymore. When you want to record yourself while you give a funny commentary of that new Bethesda game, a flip screen vlogging camera will allow you to be in the frame and adjust yourself, a touchscreen camera will make things easier, you can adjust the image while you have a live selfie view. You can get a flip screen vlogging camera under 200 dollars now, beginner YouTuber cameras are cheap now, great for all of us. While most compact cameras do not have a mic port, good DSLRs and mirrorless ones do support it. This will make your vlogging experience very easy as you won’t have to set up an external USB mic or a recorder. Having listed these four important factors, one should always consider the type of videos that you are going to shoot while purchasing the camera. Different genres work best with different camera features. Beauty Vloggers want to look fabulous, and they focus the best color grading, low light cameras to make them look like they are a movie star. Another thing Beauty Vloggers do is use is the best lighting for vlogging, and definitely ring lighting that just brings your eyes right out. Adventure Vloggers look for features of the best travel camera; lightweight, image stabilization, and enough battery to capture your shots. Documentary Vloggers concentrate on the image quality requiring the best professional vlogging cameras. How to Start a Vlog? There are so many “so-called guides” about vlogging on the internet that it is natural that an aspiring vlogger gets overawed in the initial research phase itself. A few favorite YouTubers, hundreds of camera models, thousands of reviews, and millions of unique voices – chaos. As experts in the field of vlogging and with years of experience in the audiovisual realm, we understand when you get overwhelmed by so many responses to one simple question – where do I start? Even before you consider buying a camera, the first thing to do is to introspect about the what and the why. The what deals with what you will actually do as a vlogger, what will your videos be about, and what sort of genre would you classify your videos into. Whether you are going to talk about product reviews or are going to commentate while playing Minecraft or creating documentaries about sea creatures, you should narrow down your content before jumping to the next step. Once you have decided what you want to give to your viewers at large, the next steps will be much easier. Vlogger Tip: For the business minded vlogger; Minecraft is huge on YouTube, there is so much opportunity to be a gaming vlogger who makes Minecraft videos. The search volume for ‘Minecraft’ is ridiculous. Do if you are good, or you know someone that is good, record an interesting level, game, and give the funniest commentary possible on what’s happening. You will thoroughly enjoy do it too. For this, you will need a gaming screen capture card to record the gameplay. You can start a vlog with your Samsung or iPhone but that will only go so far, It will not be of the best quality required to build a following, YouTube followers are Fickle and like visual stimulation quickly, high quality YouTube videos with a catchy beginning hooks us in from the beginning. To achieve this you will need great video camera image quality, sharp sound from your Microphone and a lighting kit for vlogging indoors is going to allow you to film at night and on bad weather days, And that is it, the rest is up to you. so Let’s check out the first tool, the features desired of a Vlogging Camera for Youtube. Get Your Vlogging Story Board Ready Camera? Best-selling author John Green started out as a vlogger before he began churning out romantic comedy novels. The first video that he posted on his channel was of pretty bad quality, giving weight to our argumentative point that you shouldn’t measure your success’ potential on the type of camera that you use or will be using. People nowadays can even shoot entire films (Sean Baker’s Tangerine) on an iPhone and get critically acclaimed for their work. This shows that it is not all about the camera, but the talent, but we also look at the statistics and the best Youtubers used Good Vlogging Cameras all the way down their road to Vlogger stardom. How to Choose the Best Vlogging Camera? Anything by Canon is going to make you happy, but there are many options out there. Once you have finalized the type of videos that you are going to shoot and have gone through the essentials (above), it is time to mix them all up and come to a conclusion about your camera requirement. There are four main types of vlogging cameras – point-and-shoot, DSLR, mirrorless, and camcorders. While the first one does not support interchangeable lenses, DSLR and mirrorless are more advanced, with camcorders not letting you capture photos. What type of content are you planning to create? Are you a non-technical person who is into makeup and beauty and wishes to post DIY tips directed at young women? 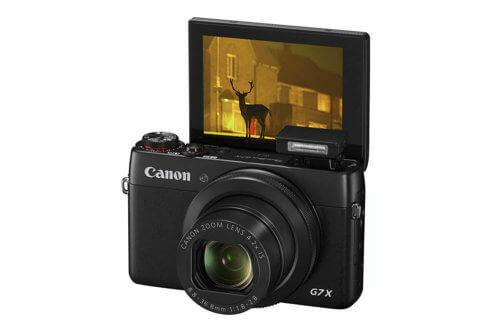 Then a compact point-and-shoot camera should be enough. You will mostly be shooting videos in your house in daylight (best if you do), so low light performance won’t be an issue. For example, Canon’s PowerShot ELPH 350 HS has an inbuilt front microphone – which makes it a perfect camera for a beauty vlogger. However, a DSLR would be better because it will help you capture all the bright colors and sharpness that will be appreciated by your viewers. Similarly, you should consider GoPro if you are into serious action, and a DSLR if you are into documentaries about people that requires 1080p full HD video quality. Vlogger Tip: Flip screen cameras, don’t underestimate the importance of having a flip up screen, you can always see what you are shooting, Vloggers are tending towards having a flip screen vlogging camera because it reduces the number of retakes you have to do because you didn’t get yourself in the middle of the frame. This is where the importance of low light performance and aperture/sensor sizes come in. 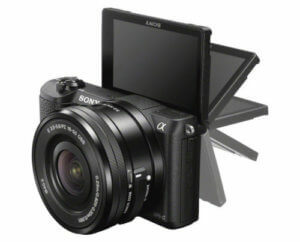 If you film your vlogs outdoors, then a compact mirrorless camera (with an extra set of lenses) would be best. But, pay extra attention to the battery’s lifespan and get extra ones if you are going to shoot for hours. If you are a travel vlogger, then a DSLR is not recommended because of its weight, lenses, and the “overall anxiety”. You can find a good cheap vlogging camera under 200 dollars, but if you are taking the full plunge, why not spend on an external microphone and a tripod, it makes your voice sound fantastic. All these will shoot up your cost and total spend a little, but if you are serious about starting a YouTube Vlog and want to play building the subscribers, getting more views and getting the Money and fame that comes with it, then nothing should come between you and your professional vlogging camera. Vlogger Tip: Get some lighting equipment it makes you look good, especially the ring lighting that gives your face that glow and the ring of light in your eye, it looks really professional for 50 dollars. DSLRs are not cheap, and they start under 500 dollars, exclusive of any lens. We would recommend you to balance the pros and cons of all types of cameras that you think best fits your vlogging purpose and then select the one which suits your price point. What camera type is best for me? 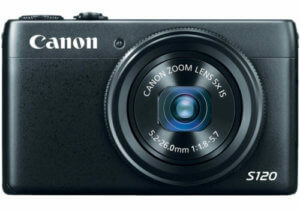 While most YouTubers use compact point-and-shoot cameras, some other professionals prefer camcorders and DSLRs. Each one of them has their own set of advantages and disadvantages, and one should measure every single factor before buying. For instance, a DSLR provides great low light performance, but is difficult to carry around; a mirrorless camera is travel-friendly but has low battery life. This is the reason why YouTubers like Casey Neistat and PewDiePie use different cameras for different situations – one thing that you can aim for as you climb the vlogging ladder. There can be a lot of reasons why you want to be a vlogger. Whether you want to showcase your commentating talent with a knack for using expletives in every sentence (Ozzy Man Reviews) or want to show them aspiring models how to permanently get rid of that monobrow (Yuya) – vlogging is the answer. But, where do I start? Which camera should I go for? Will I need a microphone? What about editing? Well, there can be a lot of questions in your mind, and we are here to help you. 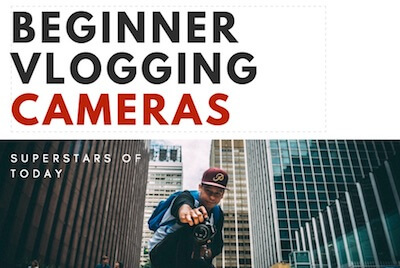 This was our brief beginner’s guide to finding the right vlogging camera. We hope that reading this has given you some useful insights and that you will be a successful vlogger. For more guides, tips, and tricks related to video blogging, check out our other posts. Moving forward, once you are done with your camera selection, why not go through this list of the Best external microphone for YouTube.